Psychiatrist Evelyn Talbot has dedicated her life to solving the mysteries of the antisocial mind. Why do psychopaths act as they do? How do they come to be? Why don’t they feel any remorse for the suffering they cause? And are there better ways of spotting and stopping them? After having been kidnapped, tortured and left for dead when she was just a teenager—by her high school boyfriend—she’s determined to understand how someone she trusted so much could turn on her. So she’s established a revolutionary new medical health center in the remote town of Hilltop, Alaska, where she studies the worst of the worst. 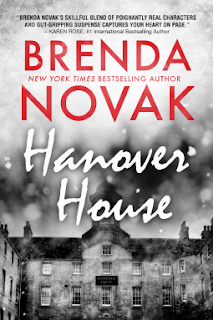 But not everyone in Hilltop is excited to have Hanover House and its many serial killers in the area. Alaskan State Trooper, Sergeant Amarok, is one of them. And yet he can’t help feeling bad about what Evelyn has been through. He’s even attracted to her. Which is partly why he worries. This book is a 200-page prequel to WHITEOUT, Book 1 in the Hanover House Chronicles, which will be released from St. Martin's Press September 2016. A fantastic introduction to a new series. The romance between Evelyn and Amarok was realistic and well written. Evelyn has issues because of her past and has reservations about beginning a relationship with Amarok. She is also insecure because of the age difference between them. Evelyn is a few years older but Amorak doesn't let these obstacles deter him. The fact that someone wants her dead is a bigger problem. The suspense in the story kept me glued until I had the book finished. I can't wait to read the rest of the series.